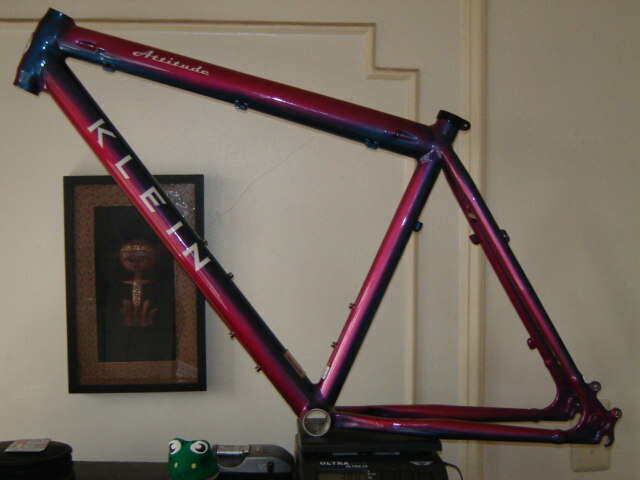 Got me another Klein project on the burner, I was about to buy this frame at my LBS for a $1000 (05' Attitude color: Lupine) and something told me to hold off, glad that I did, about a week later I saw this on ebay for a BUY IT NOW price of $300, kinda skeptical at first then I looked at the sellers history and decided to buy it and just got it today and I've already got the seatpost: Thomson masterpiece and a X4 stem, XTR fr/rear derailleurs, XTR cassette, Hope skewers, and waiting on my CK ISO hubs........I will post pics to show progress. YEAH I GOT DEAL!!!!! And that color is awesome. It should provide a nice baseline for your build. Keep us up to speed on your progress. P.S. I just bought a scale like the one you have, except it's the 55 lb model. I'll use it for ebay shipments. 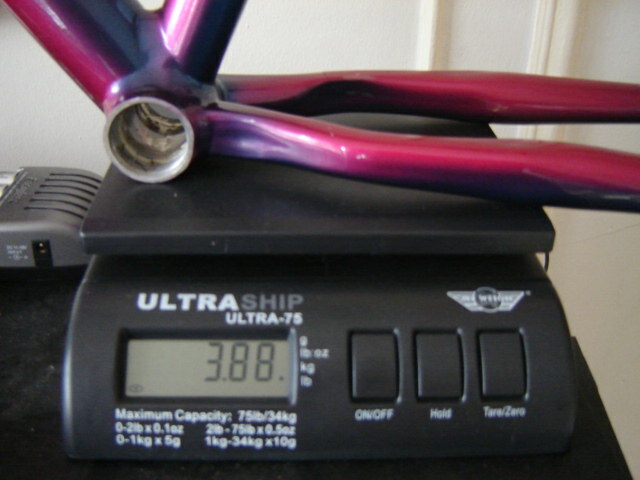 Weighed by new Leader hardtail frame on it. Came up to 3 lb 13.5 oz. Ya got me beat! My build will be a budget build. Aiming for $400. Well on target so far. Last edited by Call_me_Clyde; 07-21-2006 at 04:00 PM. 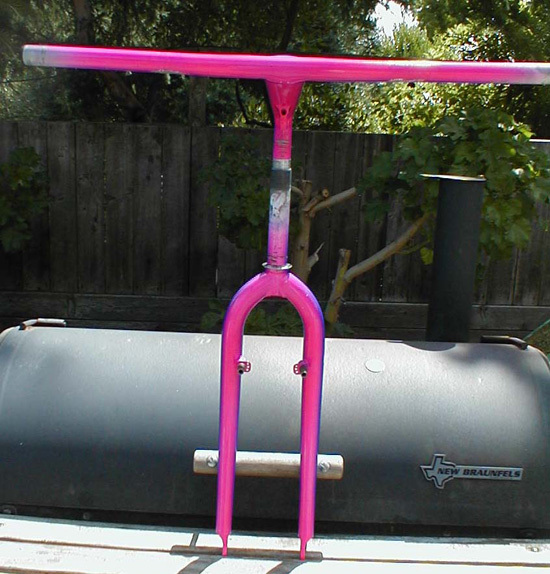 I have a sweet Klein fork/stem/bar combo that is perfect for that bike. Do some great grilling & smoking with that puppy. Swing out to Cali & we can do some killa smoking if your ready!!! I thought that was a smoker. I've seen those before killer flavor. I dont have the smoker addaptor that attaches to the left side door, but if you are carefull you can still smoke extreamly well. Done some great 4 1/2 hours for smoked ribs or 2+ hour steaks smoked, nice & juicy with Alder wood or Red Wine Barrel woods depending on the meat. YUM!YUM! DIM SUM OVER THE HORIZON HERE I COME..........LOL! Just got some more components in for my project, I got the headset, skewers, seatpost clamp (all by Hope industries), Crank Brothers Candy SL pedals. I also got a brochured type e-mail from Industry Nine components (looking for a custom wheelset, just lookin for now). There wheels look good and I have read and heard positive things about them. I am going to be skipping many meals if I get one of there wheelsets.